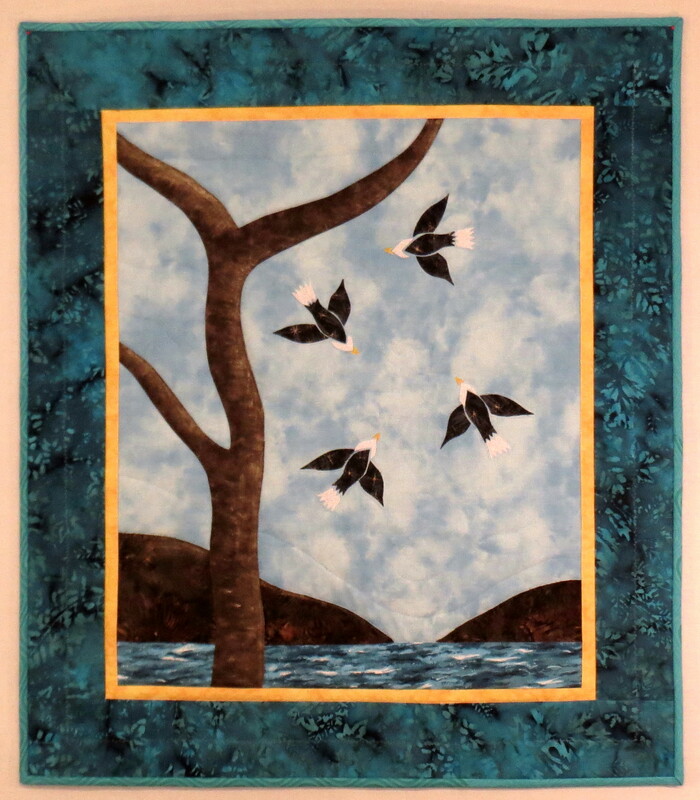 Last spring I took an online art quilt class at Quilt University from Marilyn Belford (www.marilynbelford.com) . I posted photos of some of my class homework at the time. I have finally completed several of these class projects and am including photos here. All of these projects were done on fusible web. 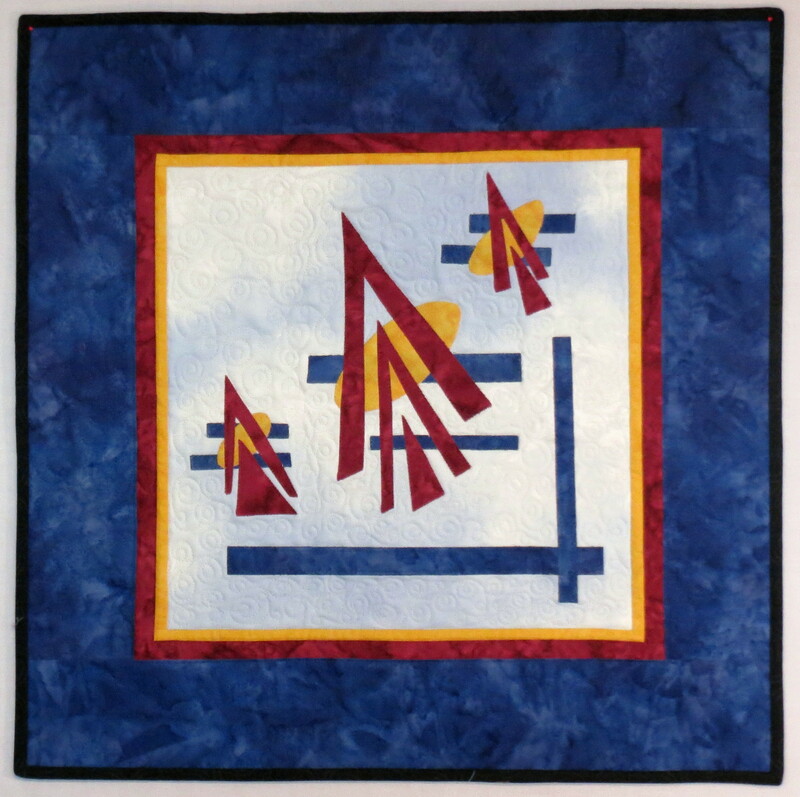 As a reminder, each project started with a large shape such as a circle, triangle, or rectangle being cut out of one fabric (with fusible web attached). Then that large shape was fractured into a bunch of smaller shapes, which were then “stretched out” on top of a second fabric and fused down. For the later exercises, shapes were cut from more than one fabric. I did a lot of these exercises in the class and I still have three more to finish. In all cases, the little quilts were completely finished from my fabric stash. For the finished projects shown here, most of the pieces were machine appliqued using a fine thread and a small blanket stitch. And the last one was an experiment (I don’t think this was actually a class assignment, but I could be wrong) where I decided to try simplifying an animal shape while retaining the “essence” of the animal so that it would be recognizable. I used bald eagles because they are so recognizable and also because they roost in our trees here and we often see them performing acrobatics in the sky. I used a gold metallic Shiva Paintstik to add some dimension and shading to the tree. It worked fairly well considering my lack of painting experience. The one negative is I can still smell the paint on the quilt — but then it has only been two days, so perhaps it will go away with time. 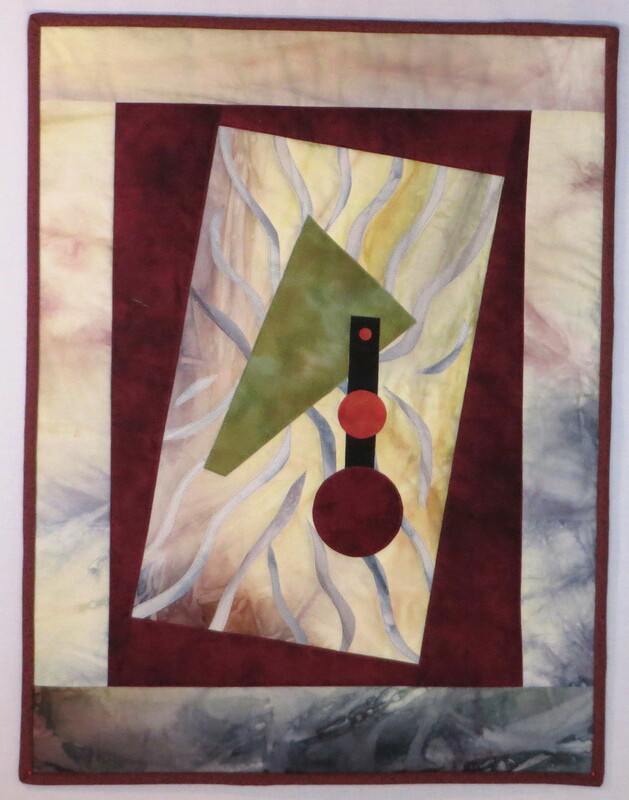 I really like these little abstract quilts. The question is, what do I do with them now? I don’t believe they are very marketable. My cousin, who is an abstract painter, tells me that abstract art is a tough sell: 90 % of all people aren’t much interested in art; of the remaining 10 % who do like art, 90 % aren’t interested in abstract art. So selling a good landscape painting (or quilt) is going to be a lot easier than selling abstract art quilts. Good thing I don’t have to make a living with my quilts! 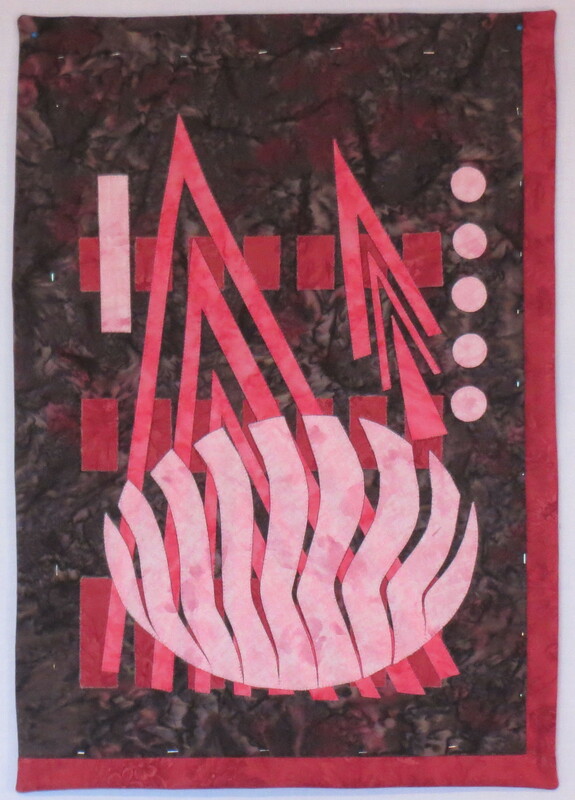 This entry was posted in applique, Art Quilts, Contemporary Quilts, machine applique, Quilting and tagged abstract art quilts, fusible applique, negative space on November 5, 2013 by Shirley at Mystery Bay Quilt Design.